A key to our escape rooms. "THAT EXCITING MOMENT WHEN SOMEONE GIVES YOU AN UNEXPECTED GIFT"
Our Questroom gift card is the perfect gift for anyone for any occasion! No more boring stuff, instead gift an experience that will never be forgotten. The card is valid for the entire team so the person receiving it can bring his friends and family. 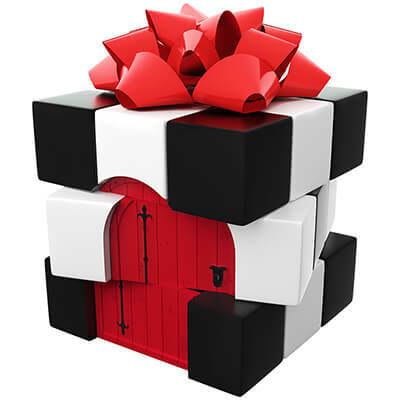 Give excitement, give fun, give laughter, a Questroom gift card. Giftcard is valid up to one year from purchase. Want to give a gift that everyone will remember? Can be used for any escape game, date and time of you choice. The best of gifts for the best of friends. If you are interested in our Gift Card, call us +420 777 330 251 or fill out the form below.